Welcome to DOG GUARD of Alden. Hi. I’m Jeff Avery, owner of DOG GUARD of Western New York. I’ve been an underground cable TV contractor for 30 years and from time to time would come in contact with customers’ underground dog fences. I was always amazed at how well they worked. So in 2004 when I discovered Dog Guard Out of Sight Fencing was looking for a dealer in my area, being the entrepreneur and dog lover that I am — and realizing that I already owned most of the equipment needed — I jumped at the chance to possibly make a career change. I have four dogs, three of which I contain with a Dog Guard fence. I have a black Pug, a French Bull Dog (brindle), a white Boxer (best dog ever) and a South African Boerboel that I adopted when he proved to be too much for one of my customers to handle. DOG GUARD of Western New York is a family-owned and operated business. The staff includes my mother, Marilyn, who receives service calls and schedules battery deliveries and my son, Nick, who helps me out on the installations and training. We’re always up to a unique challenge. I have been called upon to come up with creative ways to install the underground fencing, including placing wire through existing chain link or vinyl fencing to keep dogs from breaching them. DOG GUARD of Western New York offers the best pet-containment fencing prices in the area. We are customer-and-canine focused and deliver efficient and personable service. 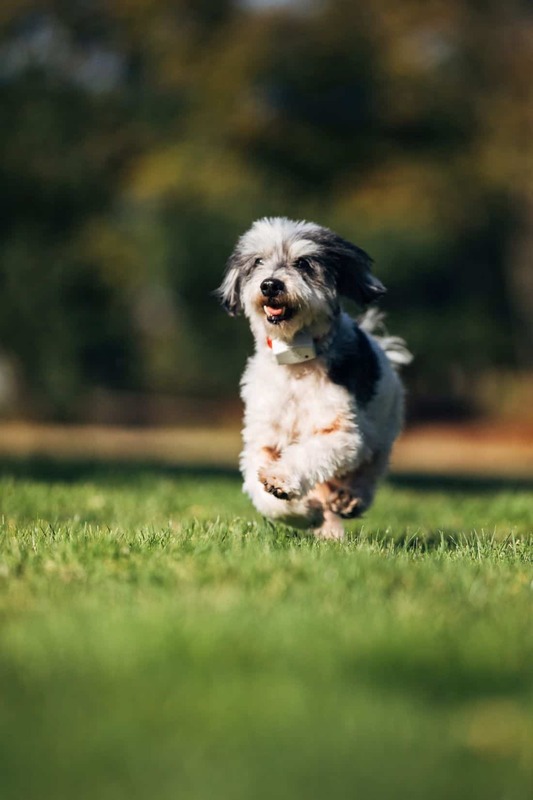 Installation of your custom-designed underground fence will take approximately three hours, including the time it takes to train you and your dog on how to use the system. That service includes as many follow-up visits as are needed. Call today to see how we can meet your pet-containment needs.